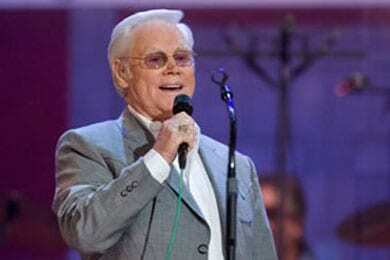 George Jones‘ final Nashville concert of his career will take place at the Bridgestone Arena on Nov. 22, as part of his 2013 farewell tour titled The Grand Tour. Though the performance is still several months away, it is already slated to have an all-star lineup of supporters and performers. Charlie Daniels, Lorrie Morgan, Randy Travis, Jamey Johnson and Gene Watson will join previously announced guest Tanya Tucker to help honor the legendary performer. More artists have yet to be announced. Jones is expected to make approximately 60 stops as part of The Grand Tour. Tickets for the Nashville finale are currently on sale at all Ticketmaster locations.